Posted by Bima Hermastho in Total Productive Management. 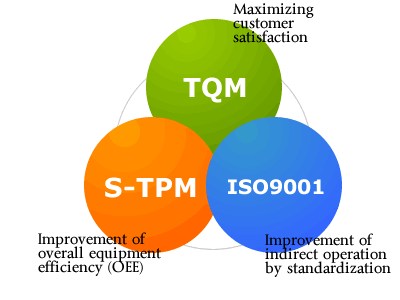 Total quality management (TQM) and supply chain management (SCM) have both played an increasing role in strengthening organizational competitiveness. In the continually changing global market, quality products alone are no longer enough. New challenges now include a focus on supply to determine the right time and place for product delivery. International business competition is no longer limited to organizations but now includes the supply chains. Although both TQM and SCM are critical to organizational performance, they are rarely considered together.